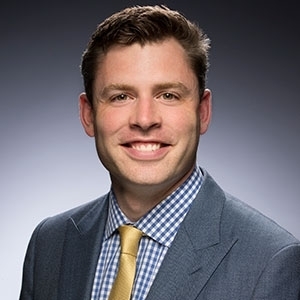 Jesse O’Connell is the strategy director for federal policy at Lumina Foundation, based out of their Washington, D.C. office. He leads the development and advancement of the foundation’s federal policy priorities, with the goal of increasing the attainment of high-quality credentials and promoting affordable pathways through postsecondary education. Terri Taylor is the strategy director for postsecondary finance, based in Lumina’s Washington, D.C., office. Under her leadership, Lumina’s postsecondary finance work aims to illuminate and address the many facets of financial need, especially for adult learners and students of color, through innovative approaches through work with states, postsecondary providers, students, advocates, and other experts. Katherine Wheatle is Lumina's strategy officer for finance and federal policy. Wheatle previously served as a research analyst at the Institute for Higher Education Policy (IHEP) and as a research associate at the Center for Postsecondary Research at Indiana University. Wayne Taliaferro is Lumina's strategy officer for finance and federal policy. He previously worked at the Center for Law and Social Policy's (CLASP) Center for Postsecondary and Economic Success, where he was a senior policy analyst. Celine Pierre-Louis is the administrative assistant supporting Lumina's office in Washington, D.C.